Rajasthan Tourism started with a new advertising campaign this year in January with an intent of attracting young and new age travelers and to change the perception of the state. There were a series of new advertisements & videos being run on television and the internet – Merasthan/ Janesthan. Aryasthan…..Jaane Kya Dikh Jaye! Mr. Piyush Pandey of O&M, India’s leading advertisement agency created this new advertisement campaign. In one of its advertisements, I saw the following picture. Although I knew that this picture has been digitally enhanced given its unnatural colors, but it did attract me for its beauty & views. 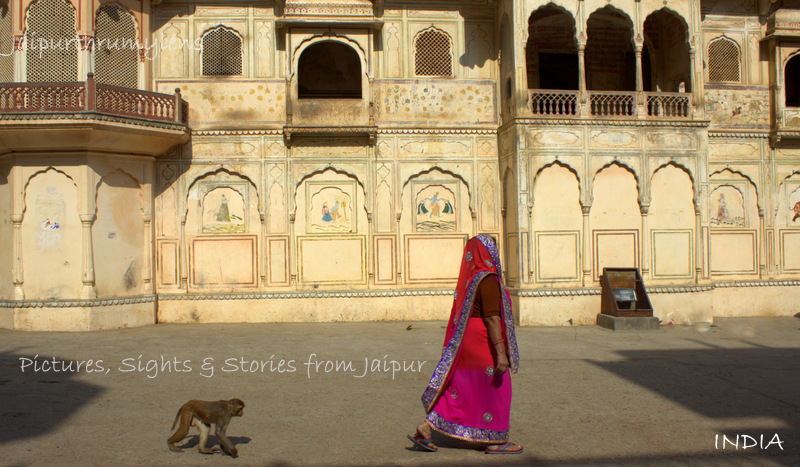 So this place ended up on my list of places to explore in Rajasthan. It’s called Garadia Mahadev & is in Hadoti region of Rajasthan, near Kota city. I’ve heard of that place quite often. Yes, I have. Most of my friends are Marwaris. So they talk about the place as one worth a visit. Great! So I presume it’s on your list of places to visit in Rajasthan? Wow! quite the photo-shop job the advertiser did! but still in all it’s natural beauty..it’s even so!! So many neat places to see! lucky guy! 😉 T.
I agree, it’s a beautiful place even without the LR/Photoshop job. 🙂 Someday Arv, someday! T.
Our country is so diverse and beautiful. Isn’t it a shame we don’t show it off! Lovely pictures and interesting places! You said it well. I have realised that in last few years a certain percentage of people don’t want to explore India. They feel that unless you don’t travel abroad its so old fashioned. I feel we have many unique places and experiences. Yes, they do lack facilities and promotions that one happens in other countries, therefore they lack oomph factor. Good or bad? That’s debatable! That’s right. India is so vast and so under-explored! I wish I could take months off work and travel all around! Some day, perhaps, it shall happen! Looks a good place. I have been upto Kota and Bundi, need a revisit it seems. Do visit.I couldn’t explore some interesting places around due to paucity of time! Useful and exhaustive list. Will refer to it for my next visit to your city!